One of our AbVAC units was recently put to the test when Pyeroy contacted us for some assistance. Pyeroy is one of the UK’s largest companies providing specialist painting and protective coatings for structures such as the Forth Rail Bridge. A major contractor to the rail network companies, Pyeroy is responsible for the maintenance of many of the thousands of rail bridges around the UK. 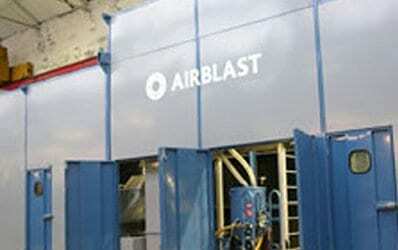 The process of providing a protective coating starts with abrasive blasting the metal structure to clean it back to bare metal. However, all the material – in this case garnet – used for blasting the metal surfaces has to be collected and either recycled or removed and the location and height of the bridges over roads often makes this task a big challenge. The challenge lies in the length of the pipe carrying the grit away, as the longer the pipe, the greater the power needed. “The grit we use for blasting is very fine, around a millimetre, and we operate in an enclosed situation to keep the grit from flying around. Usually, we need a handful of men simply to clear up the grit, but using AbVAC meant we could reduce that requirement significantly. This really paid dividends, as the AbVAC was much more efficient at sucking up all the grit, and had more than enough power to remove the grit along a 60-foot length of pipe along the bridge and down to the collection hopper. The AbVAC is a powerful yet compact self-contained unit that quickly and effectively collects and stores waste material from dust to 2″ debris. Its long, flexible hose gives operators high performance suction power that can get into any awkward area, and the variety of attachments available – such as crevice nozzles – makes any clean up even easier. All waste material is efficiently collected directly into the AbVAC’s integral 15 cu ft capacity hopper. Once the hopper is full, the debris is discharged directly into a big bag of your choice that can then be safely taken to wherever the debris needs to be disposed or recycled. The AbVAC is electrically powered, running off a 60-amp power supply, or independent diesel generator, and the exceptional filter assembly keeps dust contained, providing a clean and safe working environment for all. The units are fitted with forklift sleeves so it can be transported easily to any area that needs attention. 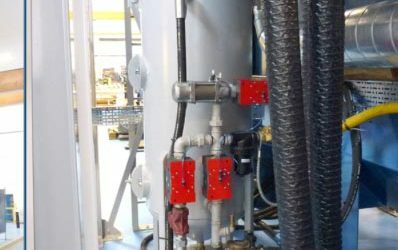 The AbVAC’s performance is such that it can also be used for powering fixed pipework vacuum systems around multi-level sites. Available for long or short-term rental, or for purchase – depending on individual requirements. Saves time and money: waste removal with AbVAC is faster, easier and more efficient because less time is spent by operators cleaning, and downtime is significantly reduced. Large deposits can be sucked up quickly and if the material is of value, it can easily be recovered and reused. 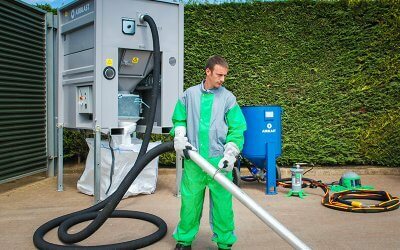 Improves Health and Safety: there’s no need for back-breaking manual collection and with fully enclosed recovery and highly advanced filters, harmful dusts are instantly removed and safely contained. 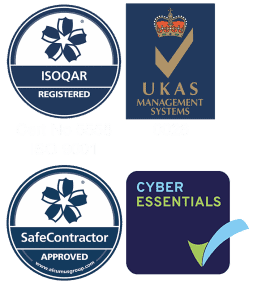 To pass inspections or comply with regulations, our machines are a must.